The second is a Brindle Pit Bull pin pendant. 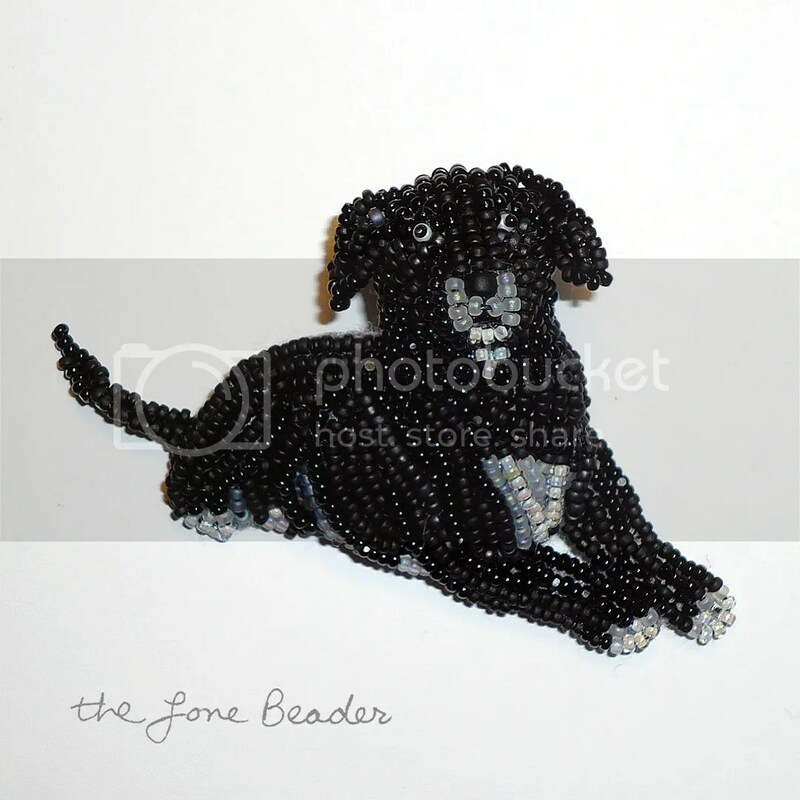 This is the same design as my beaded Blue-Nose Pit Bull. The texture of this piece was created by layering tiny seed beads over other seed beads in several different browns. How do you think it looks? You can view progress photos of these pieces on Facebook or Instagram..
New Year, New Gray Beaded Pug Earrings! My New Year is off to a busy start! 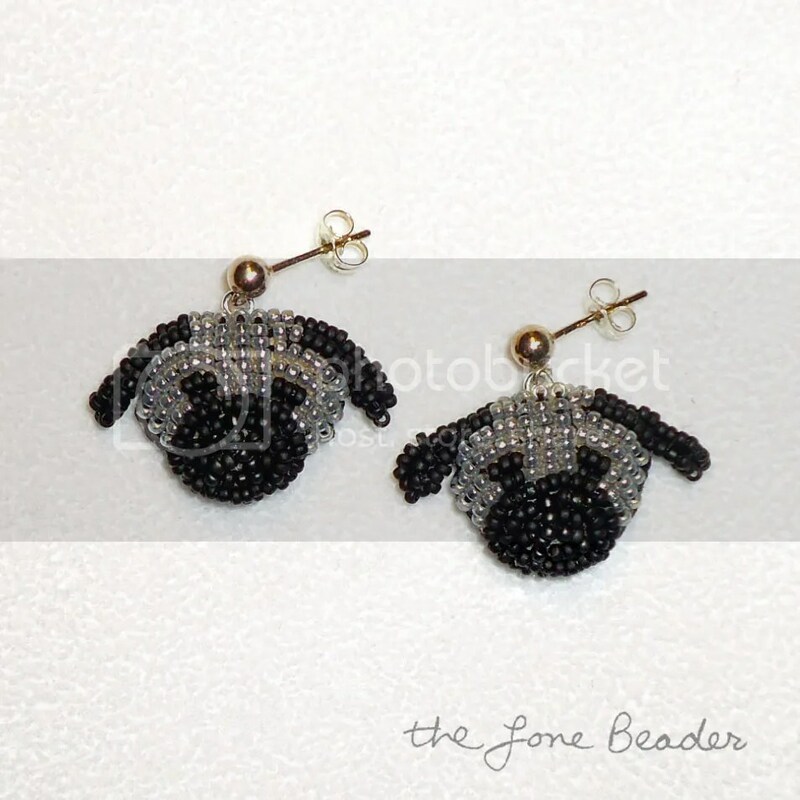 I have just finished making new gray beaded Pug earrings – these are now available for sale at my Etsy shop. 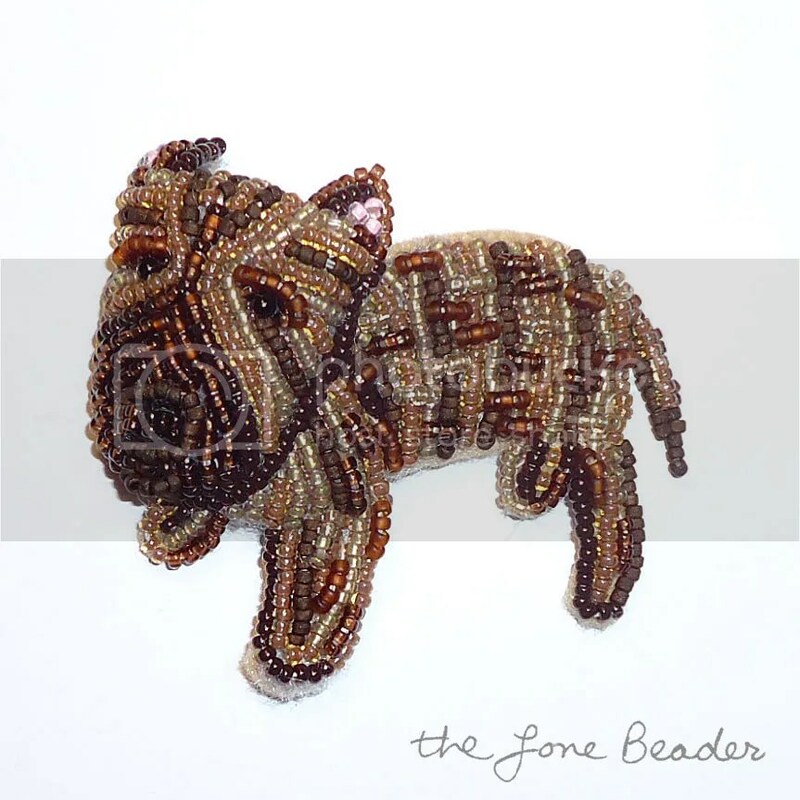 I have received an order for 4 custom beaded pet pins (check out the brindle Pitbull I started making on Facebook or Instagram).. and I accepted a commission to create a small bead-painting (progress on this coming soon).. If that wasn’t enough, I am still working on my Russian bead-painting, plus I plan to start writing a new beading pattern soon.. If there are specific bead embroidery patterns, kits, and doggie designs that you’d like to see in the coming year, please post them in the comments.. Thank you for your interest in my beadwork:) Happy 2014! !